The Green Party presidential campaign of Jill Stein and Cheri Honkala has a plan for the total, direct, and rapid abolition of poverty. The selection of Cheri Honkala as Vice Presidential candidate is itself a clear sign of this commitment. Ms. Honkala is a formerly homeless mother and lifelong leader in the movement against poverty, unemployment, and homelessness. If it has accomplished nothing else up to now, the 2012 election campaign has proven that America’s two establishment parties are hopelessly paralyzed when it comes to addressing these life-and-death realities the American people face today. Instead, Democrats and Republicans cover their moral and political bankruptcy by refusing to even admit that there is a problem. Not a single time have either of the establishment candidates even mentioned the word “poverty” or “homelessness” in any of their campaign appearances. Desperate times require desperate measures. The hour has come to break with the dying two-party system and begin building the new political parties that over half of Americans now say are needed. 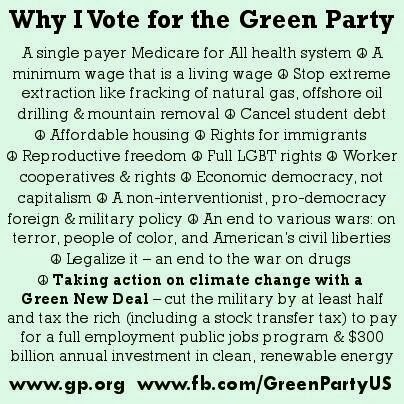 The Green Party presidential campaign of Jill Stein and Cheri Honkala is the best opportunity we have today to make that move. 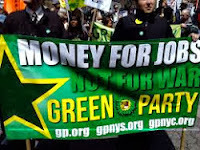 Jill Stein and Cheri Honkala are running on a platform called the Green New Deal, which is a comprehensive program to address America’s economic, environmental, financial, and political crises (see http://www.jillstein.org/green_new_deal). The Green New Deal calls for an Economic Bill of Rights similar to those proposed by Roosevelt and Martin Luther King, Jr. It calls for the immediate creation of 25 million new jobs, mainly in projects to meet human needs – housing, health care, education, and transportation – and to protect and restore our environment. It calls for an immediate halt to evictions and foreclosures, and a federal bank to restructure the housing market and make it affordable for everyone. The Green New Deal will also rebuild our entire economy around green technologies and sustainable practices; thoroughly reform the financial sector, abolish student debt, end bailouts, and reorganize failed banks as public financial institutions; and restore our democracy and the full democratic rights of our people. It is time to end the destruction, the austerity, and the needless suffering. A moral government would honor the sacredness of human life by ensuring jobs, housing, health care, and education for every family. Martin Luther King once said America has the resources and the technology to end poverty; the only question is whether we have the will. It is up to us to start creating that will by taking decisive action right now. 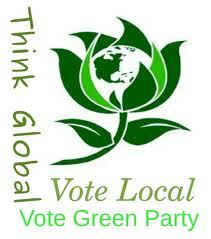 We support Jill Stein and Cheri Honkala for President and Vice President of the United States of America. *Unless listed separately, organizational affiliations are for identification purposes only. Additional signatures are being gathered now – more to come.